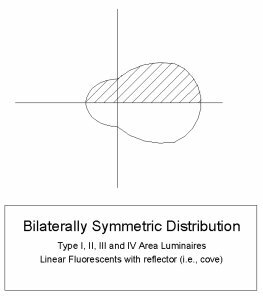 Horizontal photometric distribution of the luminaire. You can imagine these diagrams as if you are looking down on the light distribution pattern on a floor. 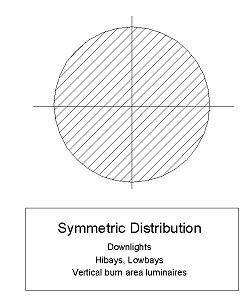 Select this if the luminaire has the same distribution at all horizontal angles (like a circle). 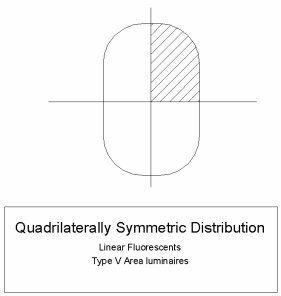 Select this if each quarter of the luminaire has the same light distribution (like a rectangle). Select this if the light distribution of the luminaire is mirrored left to right but is different front (street) to back (house). 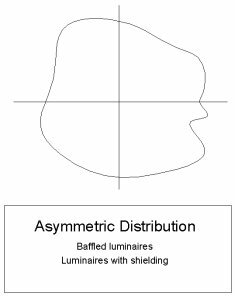 Select this if the luminaire light distribution has no photometric symmetry.